I am delighted and extremely proud to be chosen from so many, as Head Girl, and feel truly honoured to represent Red House in such a responsible way. To be able to contribute to the running of the school and act as both an ambassador and a role model to fellow pupils is a privilege. I am genuinely looking forward to facing the new challenges which the role will provide and I hope to carry these out to the best of my ability. 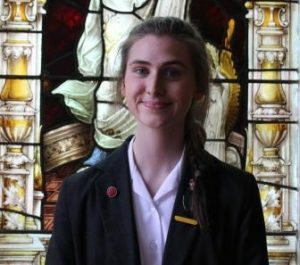 I know my position as Head Girl comes with huge responsibility and is an important role to the school; whilst it also provides me with valuable life skills. I really enjoy all my subjects, but am especially passionate about art, and have always got great satisfaction from making my class books as colourful as I can!! Outside of school, I love attending my ballet classes – it’s a great way for me to unwind.